Meet the faces behind one of the latest gqom hit songs “uBaba ka Duduzane” which has taken social media by storm with over 350 000 views on YouTube. MEET THE FACES behind the latest gqom hit song uBaba ka Duduzane, the most talked about and shared video over the past week on social media. Second year medical students, Thabo Moagi (20), Kelechi Nwachukwu (19) and Muzukhona Sithole (20) take time from their busy schedule as medical students to produce humorous content that reflects the current political state in South Africa. Last week, social media went crazy over the song titled uBaba ka Duduzane which featured ad-libs from Economic Freedom Fighters (EFF) spokesperson Dr Mbuyiseni Ndlozi who referred to President Jacob Zuma as “uBaba ka Duduzane” (Duduzane’s father), during proceedings in parliament. The comical nature of the song has captured nationwide attention and over 200 000 views on YouTube. The popularity of the song has reached places as far as Malaysia and China. 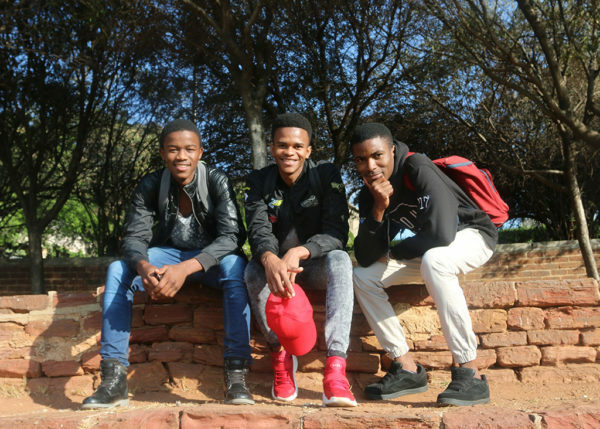 These three Witsies say they use music and video production as a way to distract them from their hectic academic schedules. “Kelechi and I deal with the visual aspect and promoting the song,” says Sithole. “It’s been one week and the responses have been positive, we’re hoping to reach 250 000 views by the end of this week.” The video has now reached over 350 000 views on YouTube. Nwachukwu says the song has received airplay on major media platforms such as TrendingSA on SABC 3 as well as MetroFM, SAFM and VOW FM to name a few. He adds that one of the biggest highlights was when EFF leaders Malema and Ndlozi shared the video for the song on their Twitter accounts. The trio say they want to continue making content that appeals to the general South African population but focusing on their academics remains their main priority.